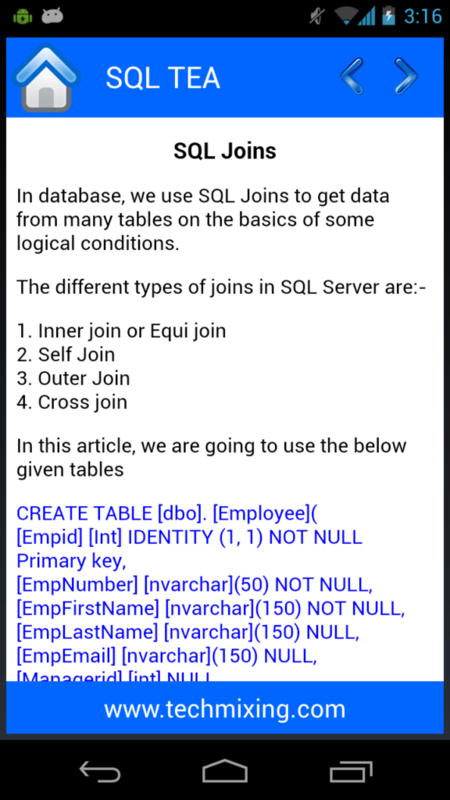 We are happy to announce our new SQL tutorial app SQLTea ( Native android app) for SQL learning which includes articles from this blog. 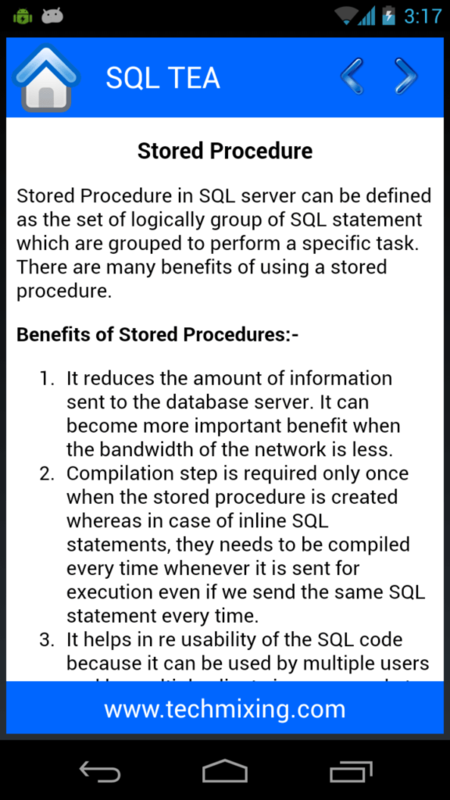 1) Articles for basic concepts like Normalization, Constrains, Joins, SQL Functions, SQL commands etc and also advance concepts like SQL Triggers, Views, Cursors, Stored Procedures and many more. 2) Every article is explained with the help of examples. 4) Includes many popular articles from this blog. 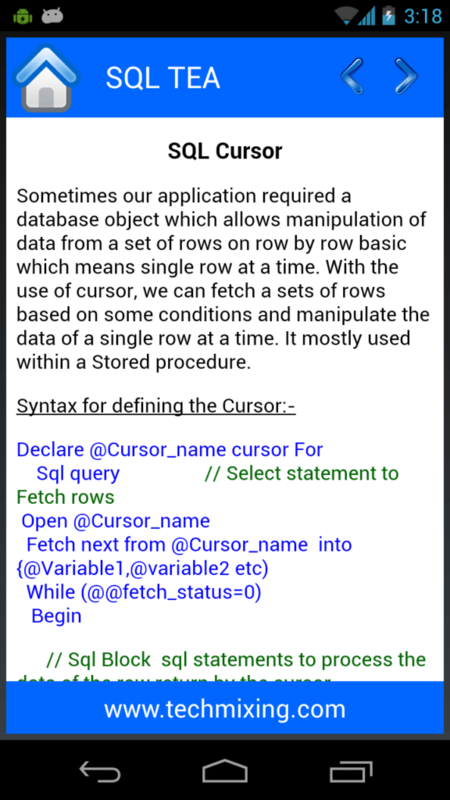 6) Will going to frequently update this App with new blog articles. 7) Simple to use and navigates. So please download this app and gives your valuable comments on it. I could see this being quite helpful for my students. Any plans for other platforms? Thanks Clinton for your encouraging comments. Currently, I have made this app for android users only but very soon this app will be available for other platforms also. Looks great and should be very useful in my day-to-day work. Thanks! My only suggestion so far would be to make it available through the Amazon app store so it could also be downloaded to the Kindle Fire. I know for myself, having it available on my Kindle Fire would be ideal. I will also upload that app at the Amazon app store within a few days. i also wanna install this app but my phone is window based ,so not able to find it in app store.can you please suggest me ..how to get it or similar app.. This is an Native android app so it can be installed in a Android base phone only. I have no idea about the other apps on the Window mobile as I have seen app on Google store only. You can find all the app articles and many more on this blog (www.techmixing.com) itself. Will try to release the Iphone version and the Window version of this app soon.